Thanks so much for allowing me to link "Tea In The Garden" ATC Swap! Your beautiful photos have my mouth watering this morning. As you wake I prepare to sleep! Daylight saving here is over and is probably now just starting for you!!?? Your apple blossom is just heaven sent! What a cosy place to sit and enjoy it Terri as you sip your tea and eat your divine scones and take in all the beauty surrounding you. Good Morning, Terri! I haven't thought about a tea post yet today. So it may not happen, but I had to come by and see what was up! Lovely Colcough cup -- full of spring beauty. How nice to find plates to go with. Lets cozy up with a book and some tea. Happy tea day! Your cherry tree in blossom is scrumptious! What a dreamy view in which to sit and enjoy some tea while drinking in all that beauty! Your teacup is very pretty and I love the soft pink. Scones look good too. Thank you for sharing and have a lovely day. Lovely to see the cherry blossoms. And the tea cup is so sweet. And those scones!!!!! Yes that is a beautiful tea cup! I love your photos of it too! 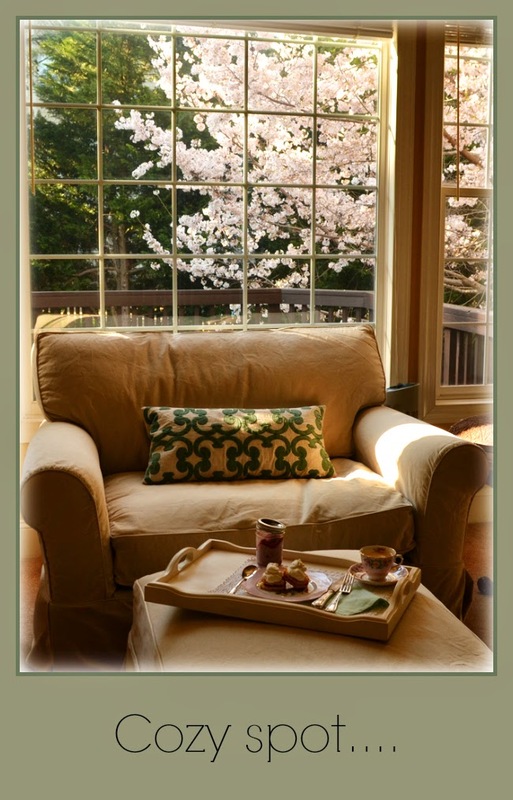 What a perfectly delightful cozy spot to sit at with tea and a gorgeous view of the tree in bloom! Everything is so far behind in blooming here-even our forsythia bushes are barely budding yet:( But I know it will all come around eventually. The beautiful place you sit and enjoy the cheery tree is the perfect place in the Spring. Your Colcough cup and saucer with the enameling has the beauty of the season. Yummy jam and cream make a scone so delicious. Thanks for hosting this great party! What a lovely spot to have tea and scones and admire the beautiful cherry blossom. 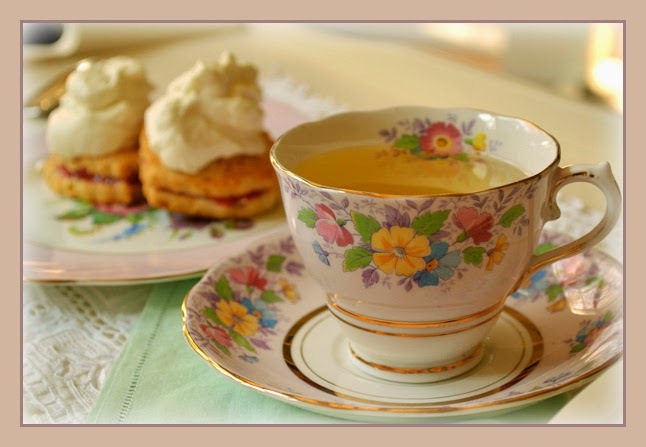 Love the pretty vintage cup and saucer. Enjoy the rest of your week. 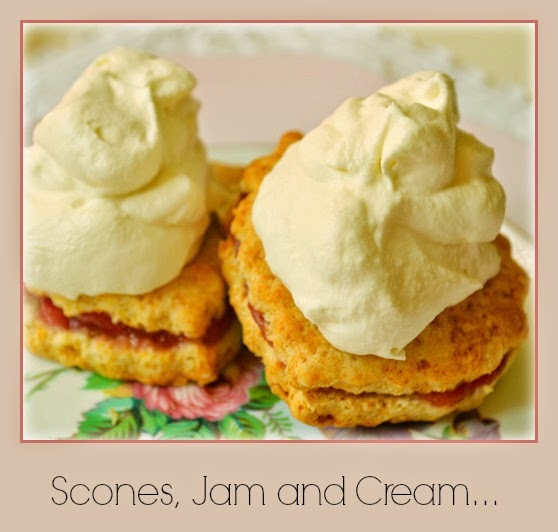 Jam, scones and beautiful dishes...that would me my fav setting! Can't wait to see your post with the new plates. Thank you so much for hosting. Your tree is a most beautiful sight, I know, dear Terri- When a little girl we lived with such a tree in our garden, and I can still remember all the lovely flowers. The plates you found looks so beautiful with your cup, and the tasty scones and jam, you made yourself. Thank you for inviting me in . I love your Colclough teacup today. It is so spring like. Your pink cherry tree looks so lovely from your window. Mine isn't blooming yet. I can't wait. Thank you for hosting with Martha again. I'm glad she's back. Hello Terri..what a visually gorgeous photo series..beautiful post..your floral-cup is darling..I have the same one, different shaped. Gorgeous yummy treats! So pretty as always....so happy to have stopped in to visit with you. What beautiful blossoms, both on the tea cup and on the tree! A perfect spot for a spot of tea, indeed! What a lovely teacup and such a beautiful setting by your window. Thank you for hosting and have a blessed week. Hello Terri. What a cozy spot indeed. Thanks for hosting each week sweet friend. I have that same teacup, love it! And don't you just treasure the short time we get to see all the flowering trees in bloom? they're so beautiful. Your scones look delicious! 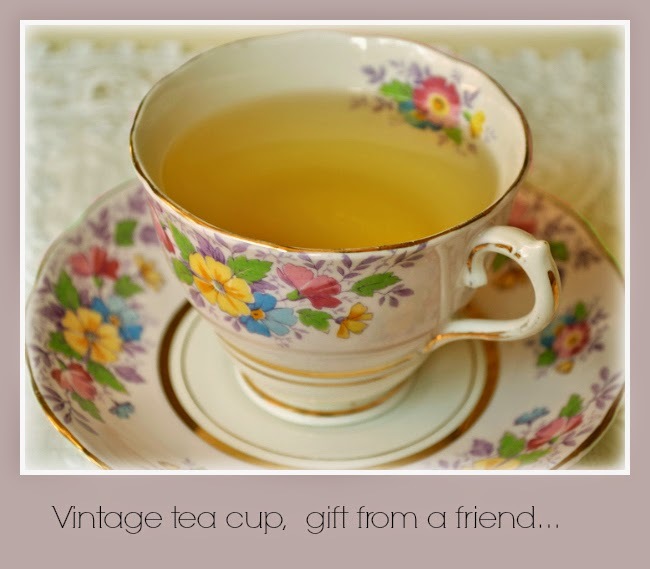 Such a pretty teacup and it is perfect for spring! My cherry tree won't be blooming until late May or even later! 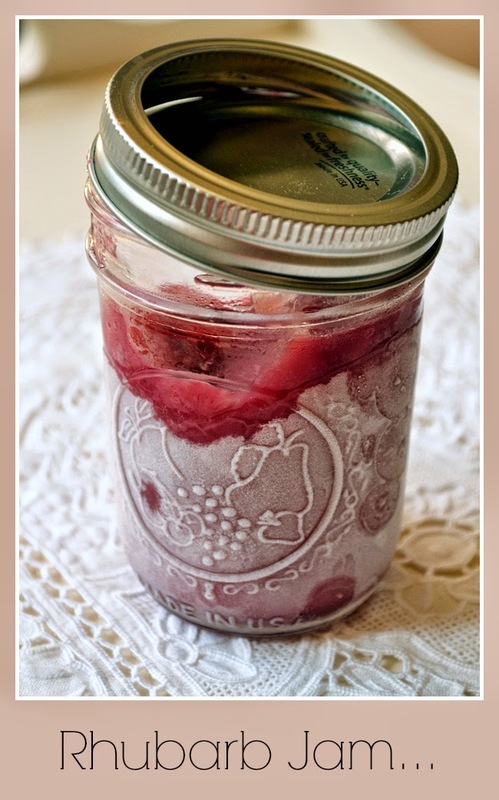 Love the idea of putting honey in your whipped cream instead of sugar. I will have to try that! Thanks for hosting and have a good week! That's such a pretty cup. I love flowering cherry trees, what a lovely view, Thanks for hosting! What a lovely teacup! I makes me think of my grandmother. Not that she drank tea in a cup like this, but that we always picked her flowers like on this cup and drank mint tea with her. The scones look scrumptious! how wonderful to find matching dessert plates to the cup. That looks so pretty and the treats make my mouth watering. I hopw, spring will be back soon. It turned cold here, too. Thank you for sharing and hosting this sweet event. Such a delicious post! As always, you bring light and joy to my day Terri! This looks just about perfect to me, Terri. 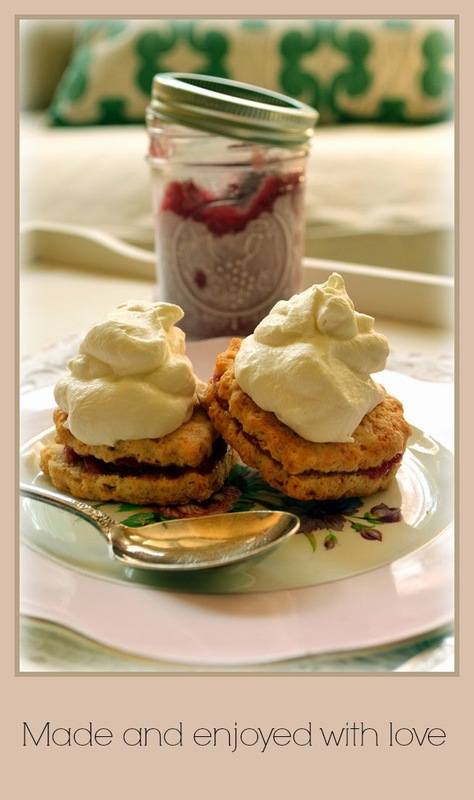 The cozy couch, the beautiful tree, the lovely combination of cup and plate, the delicious jam and the yummy scones. Wish I was there with you to enjoy such a wonderful treat. What a beautiful way to welcome in Spring! Such a pretty tea cup, and what a wonderful spot to enjoy it. very nice view, did you plant the tree? i think cherry blossoms are romantic. It is nice to get a cup from a friend cos it means something to you and whenever you drink tea from it, it reminds you of her/him. 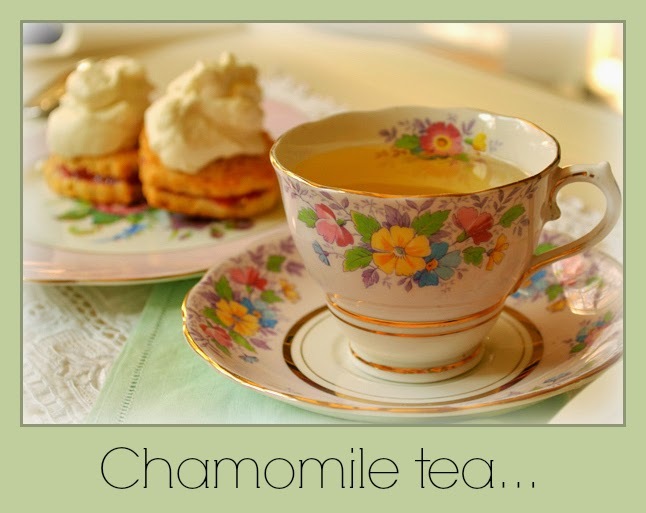 This looks like a wonderful spring tea. Your scones look delicious! The picture window framing the sakura is a beautiful visage to look out on while having tea in your lovely teacup!